Sleeves is now a Viking. 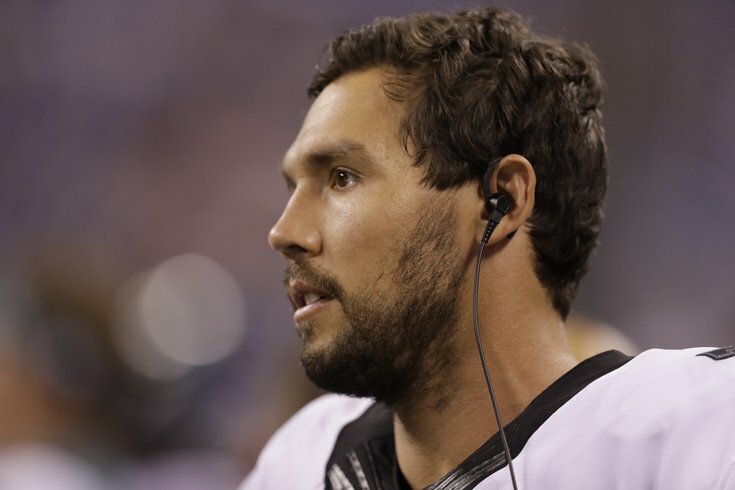 The Philadelphia Eagles have traded starting quarterback Sam Bradford to the Minnesota Vikings for a first-round pick in 2017 and a fourth-round pick in 2018. What happened to Eric Rowe? The Eagles' fourth-round pick becomes a third-round pick if the Vikings make it to the NFC Championship game this season and the Birds would have to give back a seventh-round pick. The Eagles get a second-round pick if the Vikings win the Super Bowl. That will leave the Eagles with Chase Daniel and rookie first round pick Carson Wentz as the remaining quarterbacks on the roster. The preseason depth chart would indicate that Daniel will begin the season as the starter, with Wentz as the backup, although that could certainly change depending on how the team feels Wentz is progressing. The Vikings, who many believe are a Super Bowl contenders, became desperate for a quarterback once they lost starting quarterback Teddy Bridgewater for the season with a gruesome knee injury. They are now counting on a quarterback with no more than seven wins in any one season to learn the playbook in a week and lead them to a Super Bowl. This is a coup for the Eagles, who were missing their 2017 first round pick after trading up to draft Wentz second overall in the 2016 NFL Draft. With the 2017 NFL Draft being held in Philadelphia, the Eagles will now have a first-round pick to make in front of the hometown fans. The Eagles play the Vikings Week 7 in Philadelphia.